Dainty elegance and bright color come together in these 18K two-tone gold earrings. 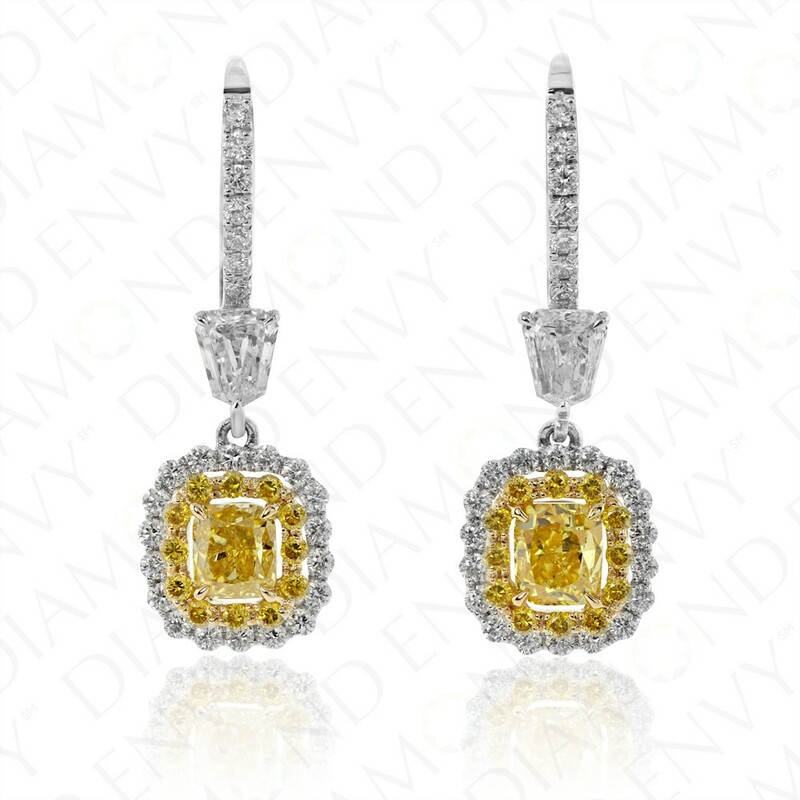 The earrings feature a pair of Fancy Vivid Yellow to Fancy Deep Yellow VS2-SI1 cushion cut diamonds, 1.01 ct. tw. 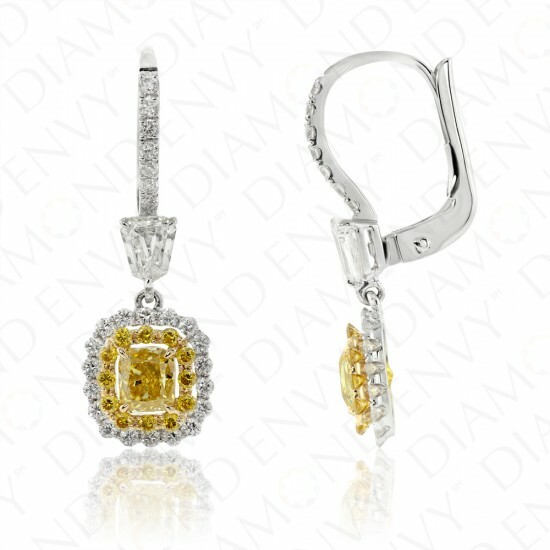 They are framed by contrasting doubles halos: the inner border features Fancy Deep Yellow VS2-SI1 accent diamonds while the outer border features F-G VS2-SI1 accent diamonds, which also adorn the leverback hooks. An H VS1 bullet-shaped diamond connects each drop to the hook, 0.44 ct. tw. Yellow accent diamonds total 24 pieces, 0.22 ct. tw. White accent diamonds total 50 pieces, 0.43 ct. tw. Gold weight: 3.09 grams. House-graded.